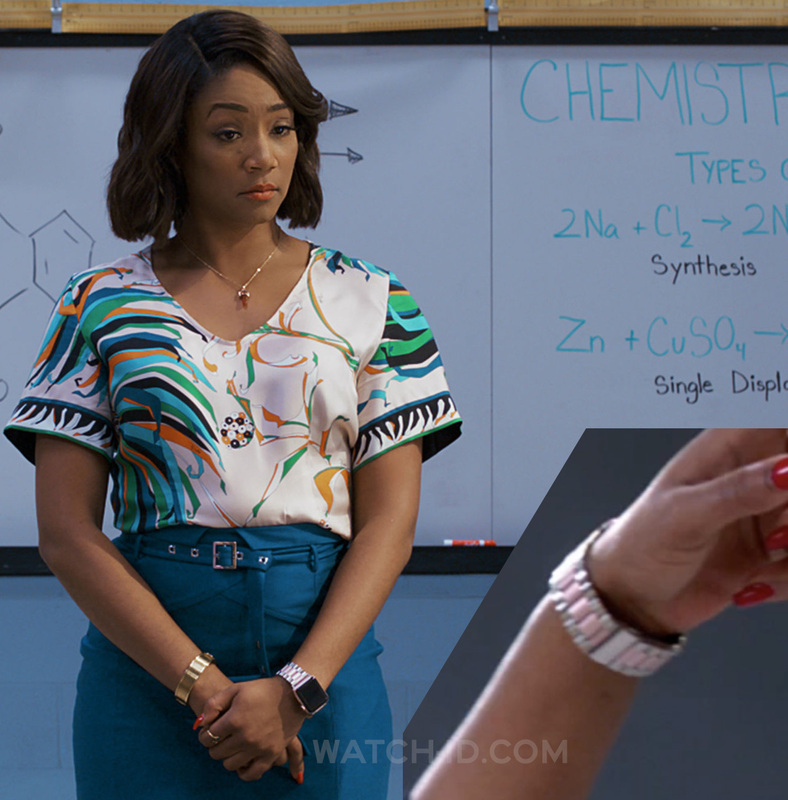 Tiffany Haddish wears an Apple Watch in the Night School. 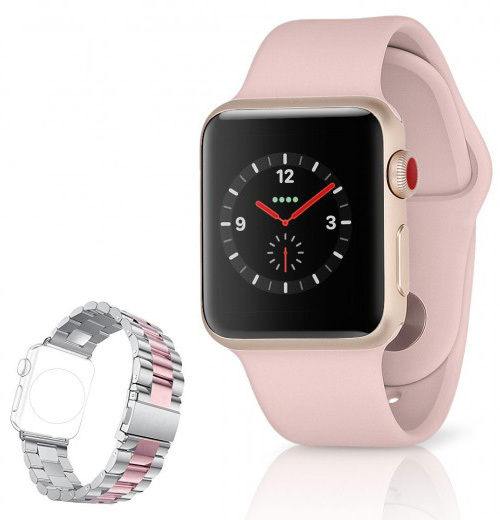 The Apple Watch has a pink or rose gold case and a two-tone pink/metal bracelet. Sometimes she wears the watch on the left wrist, and sometimes on the right wrist. Find Apple Watch steel bracelets on eBay or Amazon. Co-star Kevin Hart wears a yet unidentified classic watch in the same film.